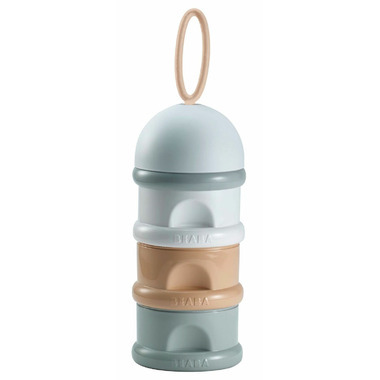 The perfect container for individual servings of formula or snacks on the go. Designed with a covered spout for convenient pouring of pre-measured formula. Three separate sections that can be stacked in any order. A convenient, soft silicone handle allows you to latch to your bag so snacks are within easy reach.